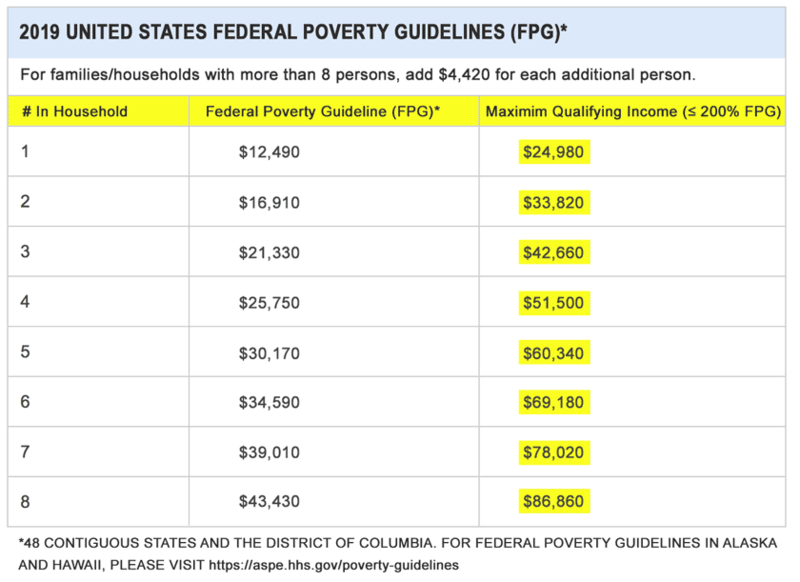 The U.S. Department of Health & Human Services has updated the Federal Poverty Guidelines for 2019. To ensure the maximum number of Tripawds ASAP Fund applicants are eligible to receive veterinary financial aid, the Tripawds Foundation has also updated income reporting requirements for the ASAP grants. The Tripawds Amputation Surgery Assistance Program (ASAP) is an income qualified grant fund available to any registered Tripawds member living in the United States or Canada who submits the necessary documentation and meets eligibility guidelines. 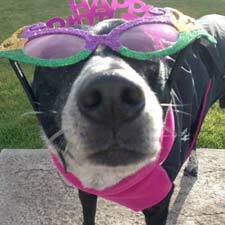 Tripawds community participation is encouraged to get and share the best amputation recovery and care tips. Since ASAP grants are given to families in need to cover unexpected amputation surgery costs, applicants are income-qualified. Proof of need qualification is based upon enrollment in state or federal entitlement program, or total annual household income. To equalize eligibility among the wide variety of economic demographic regions throughout North America, the Tripawds Foundation uses a generous limit of 200% the Federal Poverty Guidelines. Any ASAP applicant who earns up to two times the federal household annual income level is eligible for the $500 grant, which is currently awarded once per month. For complete details and all application requirements or to see if you qualify, read all about the Tripawds ASAP fund. As recently reported, Tripawds ASAP expansion is still on hold. The Foundation Board of Directors had hoped to return the program to once again start awarding two grants per month at the start of this year, but due to a lack of funding this has been postponed until June, 2019. ASAP grant frequency will only return to twice per month before then if a gernerous individual or organization agrees to sponsor the ASAP fund. Additional Tripawds sponsorship opportunities are available for helping three legged pets and their people around the world in various other ways. Charitable contributions of any size are always welcome to ensure no further program cuts are necessary. Thank you for your support! Support Tripawds to Keep ASAP Going!